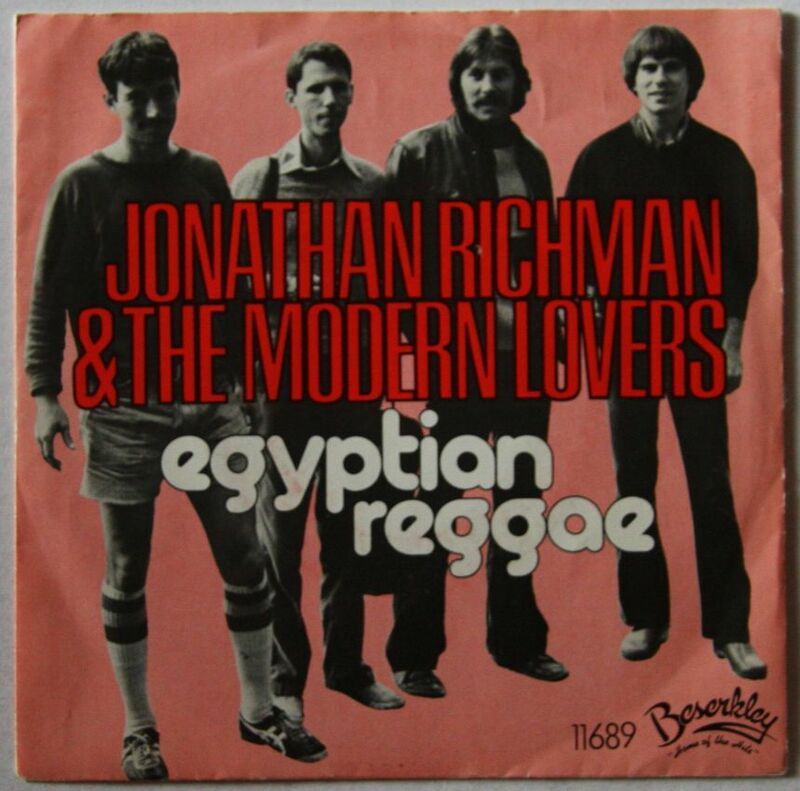 JONATHAN RICHMAN & THE MODERN LOVERS — EGYPTIAN REGGAE – IS YOUR CLAM IN A JAM? Jonathan Richman doesn’t need much of an introduction, but for those of you that don’t know he was a kid from Massachussets that became obsessed with the Velvet Underground in the 60s, and moved to NYC to live on their manager’s couch to work odd jobs and try to make it as a musician. Failing in NYC, he moved to Boston where he formed The Modern Lovers with soon-to-be-members of The Cars and The Talking Heads. The ‘Lovers recorded an album’s worth of material in 1972 with John Cale, but it didn’t see the light until 1976, when the band had already broken up, nonetheless it became a milestone for the post-punk generation. Egyptian Reggae is an adaptation of Earl Zero‘s None Shall Escape The Judgement that was released in 1977 and as its title suggests has got a definite Middle Eastern feeling as well as a Reggae groove. Egyptian Reggae is like finding yourself at a late night bar with only a coin in your pocket. The moon is shining outside and your throat is dry. You walk to the bartender and ask him to spare you another night of misery, smiling he sends a tumbler your way, you place the coin on the bar and as you do you feel a hand on your shoulder. You turn around and see a man in a white suit who tells you to put your coin away and hands you a cigar. You light it with a match, smile under your moustache and as you blow the smoke up towards the moon you suddenly feel everything going dark and wake up the next day in the scorching sun on the same floor as you did the night before. You check your pockets and your coin’s still there.